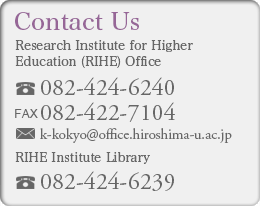 We are pleased to inform you that the 44th Annual Study Meeting will be held on October 27, 2016 at Reception Hall, Hiroshima University. Application is available from below. *Part of this program is subject to change.